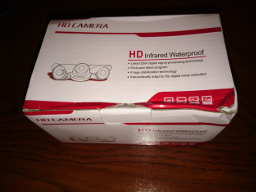 As I wrote few months ago, I bought tiny WiFi camera, advertised as a spy camera or nannycam. This week, I decided to work on the topic a bit. However, due to some serious failure, I alarmed on Twitter, I was not able to connect to its WiFi hotspot anymore. 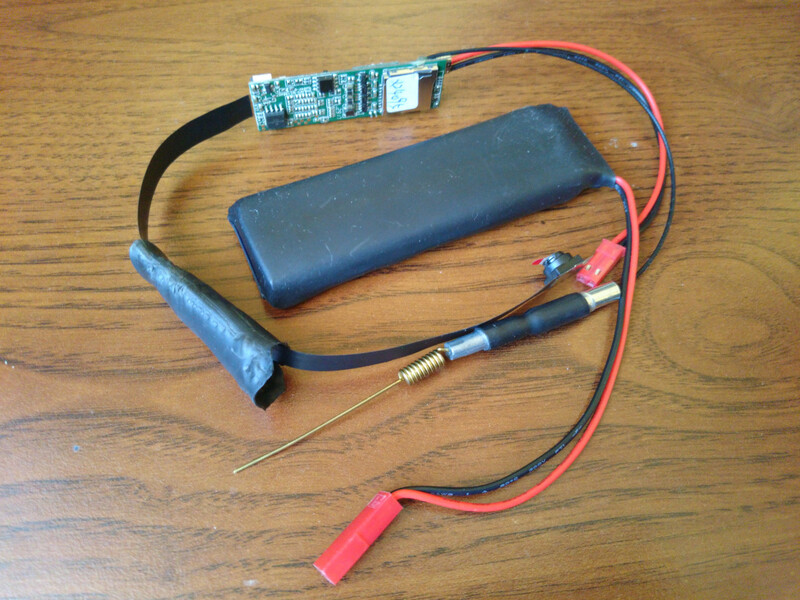 Therefore I had to use UART to recover it from backup. Below you can find parameters needed to connect to this cam. At first however I want to present any identification numbers, that might be useful to confirm it is the same device, as it has no real name. Furthermore on camera tape there is one more magic string – HY-OV9712-6. After first dash it seems to be oh – not to be confused with zero). How do I know it? 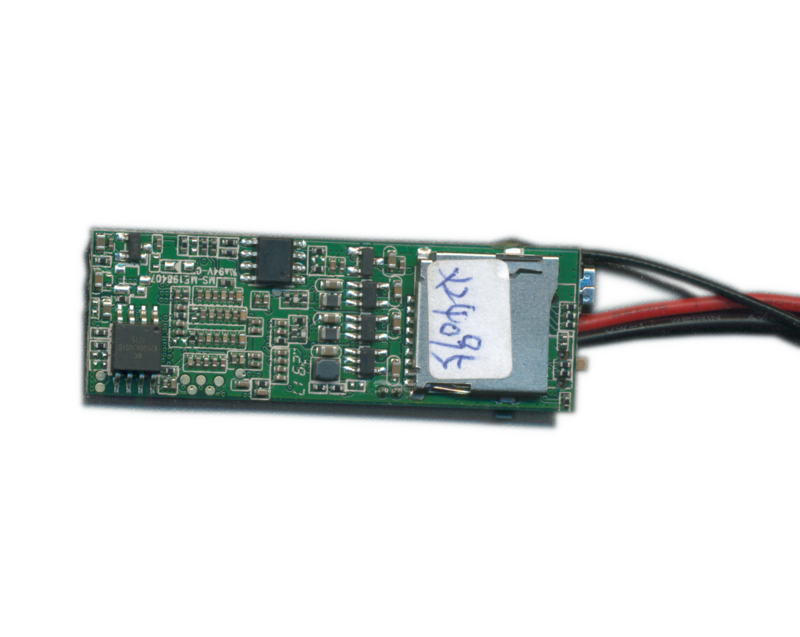 Because OV9712 is model name of camera optics made by OmniVision and it more or less matches the parameters of the camera. 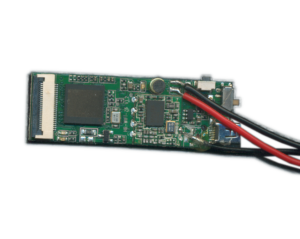 Last batch of IDs is, at first processor name and vendor, which is quite unusual at least outside China – T10 made by Ingenic, which appear to produce MIPS cores and dev boards for it. Also I can see in logs the board should be called ISVP, which is not necessarily true – see Google. At last cpuinfo says that system type is mango, which appear to be fairly common in cheap Chinese cameras. It can be found on the back of the board, near its edge. 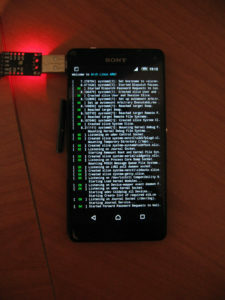 Few years ago I compiled kernel drivers of cheap USB-to-serial converter for my previous Android phone. It took few years of using new phone, without single custom-compiled kernel module. Now it is time to change it. By the way, I am going to describe what changed and what hacks have to be made to make the process work on stock ROM, provided by Sony. First of all, we need kernel. To be precise, kernel sources. Without that, it is really hard to be successful (I don’t want to tell it is impossible, but really hard, believe me). Because Sony is very liberal in terms of cooperation with community, they provide anything required to tinker with the device (obviously together with caution message about warranty loss, but who cares, right? 🙂 ). First of all, we need to know, which firmware version the device uses. To be found in Android settings, as compilation number, or something like that. For me, it is 23.5.A.0.575. 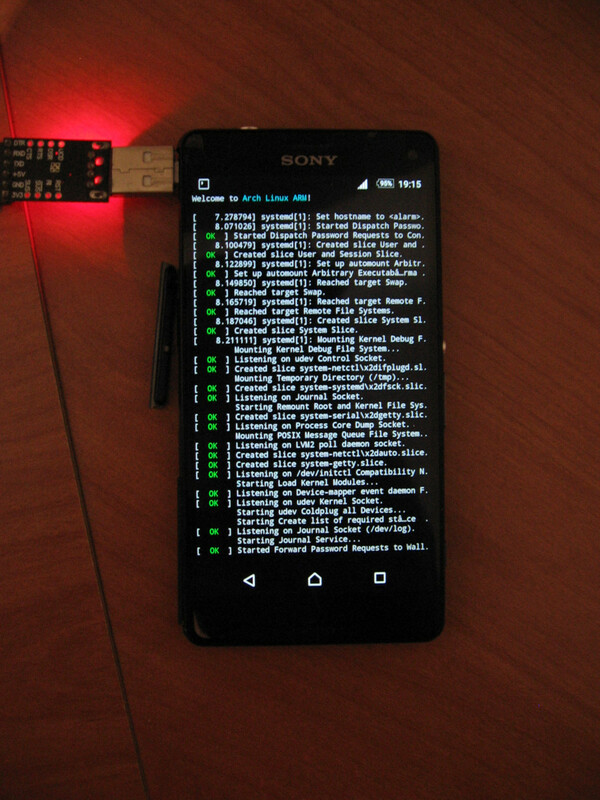 Then, we have to visit Open Devices downloads section and find our firmware. For me, it was a lot of scrolling, as I have no updates available for quite some time. Inside the package, there should be kernel directory, with complete kernel sources. Next thing we need to know is, which defconfig to use. Full list should be in arch/arm/configs. Now, in case of Sony phones, there is slight problem, as they traditionally use codenames for devices. In case of Xperia Pro, I compiled for before, it was iyokan. For Xperia Z3 Compact, I use now, it is Aries and the only official source of those codenames, I know, is their Github profile. Of course it would be too easy to find some mapping and searching for z3 gives no result. Fortunately, I know my device’s codename. As we can see, there is only one config, related to aries: shinano_aries_defconfig (Sony’s Github profile explains that Shinano is platform name). Then, we can safely use this in defconfig phase. Once we have all the sources and kernel configuration, we can start compilation. Or actually, we cannot (probably). parm:           debug_regs:Turn on/off frontend register dumps (default:off). parm:           debug:Turn on/off frontend debugging (default:off). The second detail, forces us to compile whole kernel. Otherwise, Android kernel will try to check if the module is compatible with current kernel (using CRC checksums) and will fail on missing module_layout symbol CRC. In case of very simple drivers, there is a way to omit kernel compilation. However, it is not a safest way to go and serves as permanent --force for modprobe/insmod. I advice to skip this section, unless you are really desperate (and you are not, before trying the proper way). And you should cheat kernel to trust the symbol, even if in fact it would be different in kernel compiled by you. Then, after insmodding the module, built using the same shortcut as in my previous tutorial, you should possibly see a lot of errors on your dmesg. You can hunt for the symbols, from there and chances are it will work. Haven’t tested personally and I discourage, unless you really know what you are doing. It is wiser choice to wait those few minutes for kernel to compile. During my compilation, I had to do some more hacks, as I had problems with missing headers. This will possibly be only relevant to the specific kernel version and device pair, but just in case, I am writing it down. You can safely skip to compilation and only go back in case of problems with framebuffer for MSM processors. If there is no unexpected error during the compilation, you should now be able to insmod your fresh module into the kernel. 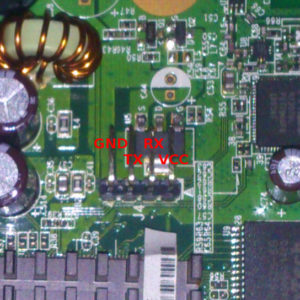 In case of CP2102 driver, I compiled, there are in fact two drivers: usbserial and cp210x. cp210x depends on usbserial, so usbserial have to be inserted first. 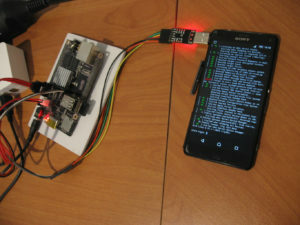 Afterwards, if you connect the device, you should see in dmesg, it succeeded, and in case of cp210x, there should be a name of USB tty device (most likely /dev/ttyUSB0, as there should be no USB ttys before). 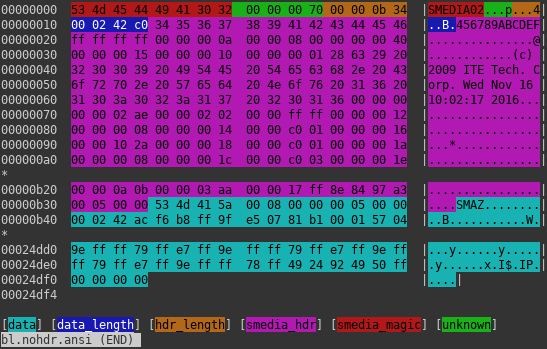 After part number four, we already have ELF file, storing all the data we found in firmware image, described in a way that should make our analysis easier. Moreover, we have ability to define new symbols inside our ELF file. The next step is to add support for our custom architecture into objdump and this is what I want to show in this tutorial. If we want to set up new architecture in objdump code, we need to learn interfaces that need to be implemented. It would be easier if we can use some existing code to do so. After some looking into the binutils’ code I learned that what is of special interest are bfd and opcodes libraries. They contain code dedicated to particular architectures. The first one seem to be related to object file handling (which in our case is ELF), so we should not tinker with it too much. Second one is related to disassembling binary programs, so is what we are looking for. I did some quick examination of source code related to popular architectures and it seems not to be easy to adjust to our needs. Architecture I found to be best suitable for modification is Microblaze. Its source seem to be quite well-written, clean and short. Also from my research of architecture name for LKV373A (part 2, failed by the way) I also remember it is quite similar to the one present in LKV373A, so it is even better decision to use it. At first it is useful to learn how to compile objdump, so it will be able to disassemble program written for our target. Microblaze is not really a mainstream architecture, so there aren’t many programs compiled for it available online after typing 'microblaze program elf' into usual search engine. However, I was able to find 2 of them, so I was able to verify that compilation worked. If you can’t find any, I uploaded these to MEGA, so they can serve as test cases. First one is minimal valid file, the other one is quite huge. Of course, install step can safely be skipped as well as compilation of other tools, beside objdump. objdump itself seem to be built using make binutils/objdump. However it can’t be build successfully using that shortcut, so whole binutils package must be configured the way, everything not buildable is excluded from the build. Next step is to add support for our brand new, custom architecture to binutils’ configuration files and copy microblaze sources, so they will simulate our architecture, until we will write our own implementation. Then it should be possible to test objdump again, against our sample microblaze programs and disassembly should still work. Even without any modification to binutils’ source or configs, it should be possible to configure it for any random architecture. The only constraint is format of the target string: ARCH-OS-FORMAT, where FORMAT is most likely to be elf. So, if we pass lkv373a-unknown-elf as target, it will work. -unknown part is usually skipped and this will not work. If we need it to work, config.sub must be modified. config.sub is used to convert any string, passed to configure into canonical form, so in our case lkv373a-unknown-elf. If it detects, that it is already in canonical form, it does nothing. Although passing something random as target option works on configure stage, it will obviously fail on make stage. What make is doing at first is configuring all the sublibraries. What is of our interest is bfd and opcodes. And the first one fails. So this is the first problem, we need to get rid of. 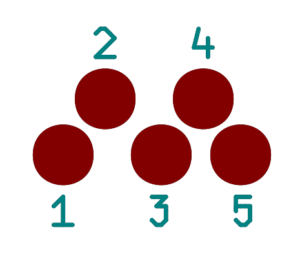 targ_selvecs – list of other selected vectors. Useful e.g. when we need support for both 32- and 64-bit ELFs. Not needed here. targ64_selvecs – 64-bit related stuff. Used when target can be both 32- and 64-bit, meaningless in our case. targ_archs – name of the symbol storing bfd_arch_info_type structure. It provides description of architecture to support. targ_cflags – looks like some hack to add extra CFLAGS to compiler. We don’t care. Now we need to define vector, we just declared to use for lkv373a architecture. to the beginning of configure.ac file. Then bfd/doc/Makefile.am contains removed cygnus option at the beginning, in AUTOMAKE_OPTIONS, so we need to remove it. After that doing automake --add-missing, as autoreconf suggests, and then again autoreconf should solve the problem. But, as I said, this will probably not work for you. I can only wish you good luck. After this step, compilation should start (and obviously will fail miserably on bfd as it misses few symbols). Now its time to make bfd compilable. This file is meant to provide support for custom features of ELF file. As we don’t have any, we can safely do nothing here. Good template of such file is elf32-m88k.c as it does exactly this. Similar situation is in targets.c file. Here we have to provide declaration of our vector as bfd_target. This will be another structure, which seem to be generated automatically, so we should not care about it. This last file, we need in bfd, provides bfd_arch_info_type structure and… that’s it! Can be easily borrowed from cpu-microblaze.c with only slight modifications. One thing that needs explanation here is section_align_power. As far as I understand it, it is power of two to which the beginning of the section in memory must be aligned. It should be safe to put 0 here, as we are not going to load our ELF into memory. This should close the bfd part of initialization. As you can see, there was no development at all to be done here. Let’s now go to opcodes library. 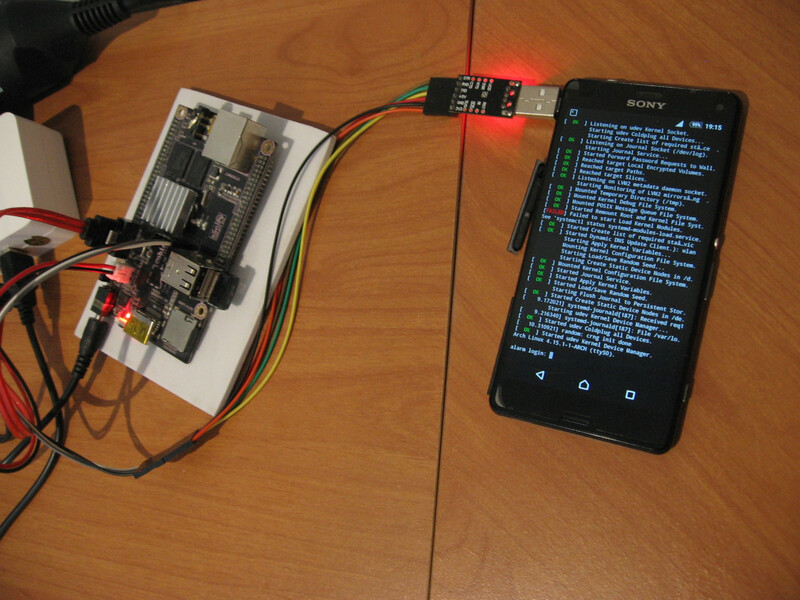 At first we need to define objects to build for LKV373A architecture in opcodes library. This is quite similar to what we had to do in configure.ac of bfd library. Hopefully, -dis file will be enough to be implemented. I’ve made a copy from microblaze configuration. The same way we will copy whole source file and any related headers in the next step. Now, similarly to bfd’s configure.ac, we have to reconfigure it. And again, nobody knows what errors we will encounter. And change include directives in them to link to lkv373a file, rather than microblaze ones. Now, optionally we could change names of any symbols referring to name microblaze, but this should not be required, as original microblaze files should not be included in the build. The only change than need to be done is print_insn_microblaze into print_insn_lkv373a, as this is what we added to disassemble.c. You should now be able to compile working objdump with LKV373A support (of course with wrong implementation, for now). We can now verify that everything works on slightly modified ELF file for MicroBlaze architecture (EM field must point to LKV373A – value must be 0x373a). Well done! NOTE: all the steps, done till now are available on tutorial-setup tag in repository on Github. Now, finally the real fun starts. Bindings between opcodes library and objdump itself, require at least print_insn_lkv373a to be implemented. For easier start of development, this commit can be used as template. You can find effects of implementation according to this description on lkv373a branch of my binutils fork on Github. After this step, you should have working objdump, able to disassemble architecture of your choice. According to binutils’ documentation, porting to new architectures should be done using different approach. Instead of copying sources from other architectures, developers should write CPU description files (cpu/ directory) and then use CGEN to generate all necessary files. However, I found these files way too complicated comparing to goal, I wanted to achieve, therefore I used the shortcut. In reality, however, this might be a better way, as the final result should be the support for new architecture not only in objdump, but also in e.g. GAS (GNU assembler). If you want to go that way, another useful resource might be description of CPU description language. As I am now able to speed up reverse engineering of both instruction set and LKV373A firmware, I am planning to create public repository of my progress and guess operations done by some more opcodes as I already know only few of them. So, I will probably push some more commits to binutils repo as well. I hope this will enable me to gain some more knowledge about LKV373A and allow, me or someone else, to reverse engineer second part of the firmware, which seem to be way more interesting that the one, I was reverse engineering till now. As we should now be able to follow any jump present in the code, it is now time to make analysis more automatic. My target tool for that purpose will be objdump. However, we still have firmware image as raw dump of memory. To be able to use objdump easily, we need to pack our firmware into some container understandable by objdump. Most obvious choice is ELF (Executable and Linkable Format) and this is what I am going to use. For the purpose of packing data into ELF, I’ve made Python library that makes it easier. For now, it is able to split firmware image into sections, like .text or .data, so objdump will be able to disassembly only the parts of firmware that are in fact a code. Moreover, it can define symbols inside the binary, so it is possible to store information, where certain functions starts and ends, same for any variables, like strings. As of now, there is no CLI interface for the program. If it turns out that such interface is necessary (like for addition of many symbols), it will be added. Library code can be downloaded from Github. Currently, any LKV373A-specific modifications to this library is stored on branch lkv373a, to not rubbish main – master branch. Throughout this tutorial, I assume, we are using code on this branch, so there might be some LKV373A-specifics, especially regarding enum types (i.e. processor architecture enum). At this point, I need to warn, that I am not going to describe internal structure of ELF file, nor any features that might be visible from outside, like sections concept, so if you are not familiar with them, it is good time to learn about them, as it might be very difficult to understand, what I am writing about. There are many good resources explaining them. Ones I was using are: this blog post and this documentation. This, at first does all necessary imports, then creates new ELF object in line 6, and, finally, converts it to bytes object and immediately writes to file descriptor. That’s it! After this, you should get valid, empty ELF file for architecture called lkv373a, which, obviously does not exists and no other program know how to handle, but we are going to change that in future. While creating ELF object, few things can be defined, in addition to architecture id. They are all described in documentation, I will mention near the end of this tutorial. You are also free to dig in structure of ELF object. There is no encapsulation in it and structure validation is very permissive, so even completely broken ELFs could be produced, if needed. Next step is to add some sections to our ELF file. At first, I am extracting them from firmware image and then inserting them to ELF object. append_section is a handy wrapper to low-level modifications that must be done on ELF structure, hidden under what we can see as ELF instance (these low-level structures are, however still available to the user as ELF.Elf member). Ok, so now we have sections in our ELF file, ready to save to disk. Before that, one thing can yet be done: setting proper attributes. They tell readers, if program is able to write or execute sections of memory, among other features, I am going to ignore here. This might be useful, as some readers might be confused about what is code (text) and what is data. In our case, we have two text sections (.irq and .text), so we are going to set them executable flag (SHF_EXECINSTR). Furthermore, we will set SHF_ALLOC flag for any section that is going to be loaded into memory (so all of them). Segments are another concept, existing beside sections. They are stored in program header of ELF file and are somehow linked to section data. They allow to define another set of attributes to areas in memory. I don’t think they will be required to define, to perform analysis in objdump, but since at least one such program header, defining segment must exist in ELF file of type executable, there is interface similar to this for sections. This also marks the segment as read and executable, but not writable. In latter case, I assumed that os library is already imported into python. First call defines function of length 0x44 in .irq section. To do this, ID of .irq section must be known. Luckily, we want to add symbol at the beginning of the section, so as offset, 0 was provided. In the second case, we also want to define a function, but now we only know absolute address of the function (0x9b9f8), but what we need to pass is offset in .text section. To achieve this, we need to subtract address of the start of .text section (0x7d100). In the last example, we define a string as an object of certain address and length. Both address and length are computed by subtracting absolute addresses. This symbol will be marked as local, which is default behavior for append_symbol function. There are many more things possible to do using makeelf library. What I showed here is mostly, what is possible using high-level wrappers, doing many things under the hood. But as there is also low-level interface, virtually anything is possible. To make exploring interfaces easier, I’ve made doxygen documentation for most of the library. It can be found on my server, here. Feel free to use the library for anything you want. The library presented here should allow us make one step further to easy to use reverse engineering environment. It will by the way allow to store new findings in easily-modifiable Python scripts. What I showed in examples to library interfaces split LKV373A firmware image into 4 sections. At this moment I already know that there are at least 6 sections, where code and data are in two parts (forming ICDCDS layout, where I-irq, C-code and so on). Also there should be some more symbols possible to place at this moment. If I succeed in porting objdump, or any other tool able to disassemble ELF file, next step would be to publish Python script, utilizing library presented here, that annotates LKV373A firmware. So stay tuned, I hope there will be many further interesting findings throughout this reversing process! As I wrote in previous part, my choice is in fact reverse engineering instruction set. The goal of this post is not to reverse-engineer whole instruction set, because even in RISC architectures some of the instructions might be quite rarely used. Before starting the actual reverse engineering, place where such analysis would be easiest should be identified. 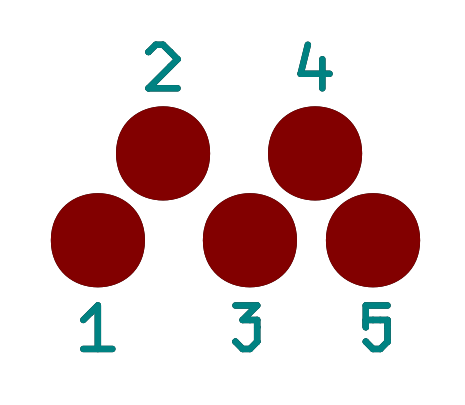 Then it might be possible to use often repeating patterns to guess instructions that the pattern consists of. The result of this tutorial will be description of opcodes related to jumping and few other often used opcodes, mostly related to memory operations. As written above, first step is to find good target. As was shown in previous article, it is possible to find references to constants mixed into code. In the picture on the right one especially interesting information can be seen – it seems that as an operating system FreeRTOS was used. FreeRTOS is open source project, so its source code can be downloaded. If we look at code before the snippet, we can see that the function is surrounded with ifdefs and is meant to be turned on only for demo purposes. Also searching for complete formatting string from sprintf function above fails on LKV373A firmware. Fortunately it is present in code and happens to have some modifications. One of them is the formatting string we were searching for. I was able to identify them starting at offset 0xbab2f. 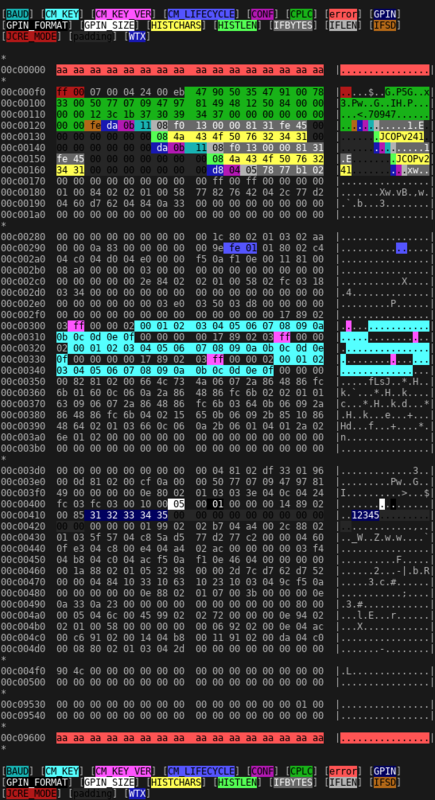 You can see it on hexdump. What is a bit surprising is that there are four such strings, while we expected only two in whole code. But "IDLE" string after them is confirming that it must be tasks.c module. Now we can use method shown on previous tutorial about processor identification to find references to these strings. Finally I found usages of offsets 0xbab5c and 0xbab73 (marked in green and blue) near offset 0x91fd4. At this moment, we have machine code and source code that is very likely to be compiled one to one into this machine code. We can also see here very useful side-effect of open source popularity: we have a system that has quite unusual function and is using open source software. So we can conclude that we can be almost sure that any random part of code also has open source software in itself. Following is short description of the above patterns. This is main element of ABI (Application Binary Interface) from the point of view of a programmer. Therefore it should also be well-known, even to people not involved in assembly programming or reverse-engineering. It is all about the method of passing arguments, before a call to a function. As we can see in case of MIPS, arguments are passed in registers named a0, a1, a2 and so on. Then address of function to call is loaded to t9 and jalr (jump and link register) is performed. Usually, in case of ABI, where arguments are passed in registers, when number of arguments is greater than number of such registers, they are passed through memory (i.e. stack). I think there is nothing special to comment here. The opposite happens on function epilogue and additionally, immediately after that return instruction should appear. But, as we can see on previous post, we have something missing on our mysterious architecture. There, address was computed as $3=$3+0xbadadd. So, we should expect that register used should be set to something before that. On x86 cmp instruction causes the subtraction of two parameters, without actually storing the result, but only updating the FLAGS register, so it is known if the value is zero, or the overflow happened, and so on. Then based on flag value (in this case if zero flag is not set), jump occurs, or not. Variadic function is function that can get variable number of parameters. The most popular example of such function is printf. It accepts format string and parameters, which number depend on format string. On system, where parameters are passed through registers, I expect it to get format through register and rest of parameters through stack or dedicated structure, so generally memory. Once we know how constants are accessed, it should be quite easy to identify, as it most likely will get format string as one of the first parameters, and somewhere close to that parameters should be stored, one after another. Now, as we know what pattern we will look for, it is time to find them in code and guess functions of particular opcodes. 00091FF4                 .word 0x15000000         # 05: ? After splitting instruction words into parts and decoding opcode, register and immediate values, we can see that string’s address is based on register $4 and stored also in register $4. If we look few lines upwards, we can see that register $4 is computed based on register $0 and offset 0x0b (marked in orange). Register $0 is often used to always store value 0. Now, if we look at original offset of string in firmware, we can see that it is 0xbab5c! So that instruction must store immediate value in register’s higher half. Therefore we just guessed function of opcode 06. Later this opcode will be described as lh (load high). By the way we also discovered that almost surely firmware image is mapped to address 0 after loading to operational memory or more likely mapping EEPROM to address space. In the snippet above, another one thing is quite interesting. And weird at the same time. There are few instructions that seem to not contain any register encoded and have weird uneven offsets, often with quite low values. At this moment my theory is that shorter ones are some kind of jumps (like 0x91fd8) and longer ones are function calls (like 0x91fd0). Then it is time to try to find compare and jump pattern. If we are right, then opcodes like 00, 04 are jumps and 01 means a call. After this section we should also tell conditional and unconditional jumps apart. Now, if we look at occurrences of 2F opcode, we can spot that it is appearing usually near 04 opcode. However we cannot tell that they appear in exactly this order which is quite weird. On the other hand if we look at register this particular occurrence uses, it is quite likely it is compare opcode. If we assume that 2F is cmp (compare) and 04 is jg (jump greater), we see that this more or less matches behavior we expect from the code immediately preceding sprintf from FreeRTOS source code. However we still miss one information: what does the offset mean. If it is jump instruction, then we cannot jump 10 bytes ahead, because we would land in the middle of instruction. If we look again at source code, we can see that our jump should not go very far forward, so value should also not be too high. We can also exclude usage of register as address, because it would be register $10, which is not set anywhere near jump. Where imm is instruction argument and PC is program counter before executing the instruction (so address of jump opcode). The question still is how more sophisticated compares are performed, because every one I’ve seen is just telling which value is greater. As there does not seem to be any flag in instruction, maybe there is no other option and to do that some arithmetic operation must be done to bring them to greater than operation? 00091FCC  .word 0xA8638608  # 2A: la $3, $3+0x8608   # 0x108608 = pcWriteBuffer? 00091FD4  .word 0xA884AB5C  # 2A: la $4, $4+0xab5c   # 0xbab5c = "%-16s %c %7u%s\t%2u%%\r\n"
Here, another interesting detail appears: last instruction setting the registers appears after the actual call. This is perfectly normal and can also be found on MIPS architecture. Its purpose is to allow concurrent execution of the two instructions. Now, if we scroll a bit upwards, we can see some interesting bunch of 35 opcodes. We know, that our call should have more than 2 parameters and thanks to format string we can tell that there should be exactly 5 extra parameters. Now if we count number of 35 opcodes, we see that these numbers match. Unfortunately with only that information, we can only guess the order of parameters, i.e. if $4 is first parameter or last one. For future, we will denote opcode 35 as sw (store word). By the way immediately after sprintf there is strlen function, that is also called by function we are analyzing. So we see that registers stored with sw instructions are then recovered by opcode 21. Then we can safely assume it is reverse and denote it as lw (load word). But I have no proof that it is the real meaning. I only see that sometimes this third hypothetical register have different value, but usually it is $9. From my experience register saving, we see here is done to stack. If in this case it is also true, then we have two options for stack pointer: $1 and $31. Some more investigation must be done to tell which one is SP. We can also try to find constants other than strings. Then we have a chance, that there will be some arithmetic operation going on with them. Personally, I haven’t tried that approach, so I can’t show any example. Another method might be finding references to some known structures. We can see one such structure in the function, we analyzed (TaskStatus_t). This is also left as an exercise to the reader. Main focus of the analysis was on branching. As shown, we know quite a lot about not only branching, but also whole ABI. Now it should be possible, as soon as main entry of the system is found, to discover complete flow of the program. We now know that first parameters are passed in registers $3, $4 and possibly so on. After analysis of function prologue and epilogue, we also know that here callee is responsible for preserving register values. We also know that in this architecture, there is mechanism of slots, identical with that in MIPS. Together with fixed-sized instructions and opcode and register field lengths, it is really similar to MIPS. Unfortunately it is not exactly the same, so reverse engineering of ISA have to be continued. Unfortunately, after doing the research described here, I see that tools I used are not enough to do more reversing efficiently. So, before doing one step forward, I have to find a way to introduce more automation to the process. As soon as I succeed with this, I will write next part, so stay tuned! NOTE: This post was imported from my previous blog – v3l0c1r4pt0r.tk. It was originally published on 19th August 2017. 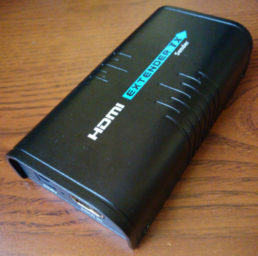 Recently, I bought LKV373A which is advertised as HDMI extender through Cat5e/Cat6 cable. In fact it is quite cheap HDMI to UDP converter. Unfortunately its inner workings are still more or less unknown. Moreover by default it is transmitting 720p video and does not do HDCP unpacking, which is a pity, because it is not possible to capture signal from devices like cable/satellite TV STB devices. That is why I started some preparations to reverse engineer the thing. Fortunately a few people were interested by the topic before (especially danman, who discovered second purpose for the device). To make things easier, I am gathering everything what is already known about the device. For that purpose I created project on Github, which is to be served as device’s wiki. Meanwhile I was also able to learn, how more or less firmware container is constructed. This should allow everyone to create custom firmware images as soon as one or two unknowns will be solved. First one is method for creation of suspected checksum at the very end of firmware image. This would allow to make modifications to filesystem. Other thing is compression algorithm used to compress the program. For now, it should be possible to dissect the firmware into few separate fragments. Below I will describe what I already know about the firmware format. Whole image starts with magic bytes ITEPKG, so this is how I call outer container of the image. It allows to store data of few different formats. Most important is denoted by 0x03 type. It stores another data container, that is almost certainly storing machine code for bootloader, and another entity of same type that stores main OS code. This type is also probably storing memory address at which content will be stored after uploading to device. Second important entity is denoted by type 0x06 and means regular file. It is then stored internally on FAT12 partition on SPI flash. There is also directory entry (0x05), that together with files creates complete partition. Another data container mentioned on previous section is identifiable by magic SMEDIA. It consists of two main parts. Their lengths are stored at the very beginning of the header. First one is some kind of header and contains unknown data. Good news is that it is uncompressed. Second one is another container. Now the bad news is that it contains compressed data chunks. This container’s function is to split data into chunks. One chunk has probably maximum length of 0x40000 bytes (uncompressed). Unfortunately after splitting, they are compressed using unknown algorithm, behaving similarly to LZSS and I have some previous experience with variant of LZSS, so if I say so it is very likely that it is true 🙂 . As for now, I reached the wall, but I hope, I’m gonna break it some time soon. Stay tuned! NOTE: This post was imported from my previous blog – v3l0c1r4pt0r.tk. It was originally published on 25th July 2017. As I promised some time ago, now I am going to describe process of pre-personalization of a JCOP card. JCOP is one of the easier to get JavaCard-compatible cards. However they cost a bit. The problem with the ones available from eBay sellers is lack of pre-personalization. Ok, there are some advantages of buying not pre-personalizaed card, like ability to set most of its parameters, but by the way it is quite easy to make such card unusable. Online resources, as I mentioned in the first part of the tutorial, are not very descriptive. They say that there is such thing like pre-personalization and it has to be done before using the card, flashing applets, using them and so on. There is only one source that helps a little bit. Someone has written script for the process. However there are two problem with the script. The first one is that it is written in some custom language and internet does not know about the interpreter, it is probably something provided by NXP – manufacturer of JCOP for its customers and neither me nor (probably) you, reader, are their customers. The consequence is that we can have script in custom language, with commands like ‘/select’ or ‘/send’. Fortunately, documentation of ISO 7816 (smart card connection), allows to decipher this. So this problem could be finally solved. Another problem is lack of command values and addresses in memory, so we do not know where and how to read/write/execute anything. After really deep search in Google, finally, I was able to find out all the missing values, so this tutorial could be written. Ok, after this way too long historical introduction, let’s see what will be needed. I assume, you are already able to communicate with your card using raw PDUs. If you don’t, up to this point there are quite a few resources to learn from, so I will not describe this. The most important thing here is to have so called transport key (KT). If you do not have it, go get it now. Seller should provide it to you, and if he did not, you are stuck, since the first step requires this key. Easy? Easy. But only if you know some hex numbers. Ok, here, one big WARNING: the last step is irreversible and can be done by mistake quite easily, so think twice before sending anything, and if you are sure, that you are done, think twice again, before issuing it. Where CLA is always zero, INS means SELECT, P1, according to ISO7816 means selection by DF name and Lc is length of KT. After that, key have to be appended. Of course, whole APDU is to be given to communications program as binary values or hex values only. Now double care have to taken, because FUSE command should be available after this point and its APDU consists only of zeros, so every mistake might make the card unusable, since security keys are generated randomly for each card. Where CLA + P1 + P2 is concatenated address of memory area to read, INS=B0 is read command and Lc contains length of data to read. Where user data is filled with some random data of length in Lc field. Beside securing keys, it is required to set CM_LIFECYCLE value to 0x01 and make sure all fields related to keys and PIN have proper values. Here, my memory dump can be used as reference, since I initialized the card before dumping the memory. Here again, remember, that this command cannot be undone! Well done! Your card should now be pre-personalized and ready to use, even in production environment. At the end, one remark: probably FUSE command does not need to be issued at all. However, if it is not issued, the card is completely insecure and should not be used in production. Previous part of this tutorial can found under this link. NOTE: This post was imported from my previous blog – v3l0c1r4pt0r.tk. It was originally published on 8th February 2017. Some time ago I was struggling with JCOP smart card. The one I received as it turned out was not pre-personalized, which means some interesting features (like setting encryption keys and PIN) was still unlocked. Because documentation and all the usual helpers (StackOverflow) were not very useful (well, ok, there was no publicly available documentation at all), I started very deep search on Google, which finished with full success. I was able to make dump of whole memory available during pre-personalization. Since it is not something that could be found online, here you have screenshot of it, colored a bit with help of my hdcb program. Without documentation it might not be very useful, but in some emergency situation, maybe somebody will need it. Small explanation: first address, I was able to read was 0xC000F0, first address with read error after configuration area was 0xC09600. I know that, despite of lack of privileges some data is placed there. There are three configurations: cold start (0xc00123-0xc00145), warm start (0xc00146-0xc00168) and contactless (0xc00169-at least 0xc0016f). Description of coding of the individual fields is outside of the scope of this article. I hope, I will describe them in future. Next time, I will try to describe the process of pre-personalization, that is making not pre-personalized card, easy to get from usual sources of cheap electronics, able to receive and run applets. Update: Next part of this tutorial can be found under this link. NOTE: This post was imported from my previous blog – v3l0c1r4pt0r.tk. It was originally published on 24th November 2015. For curious ones. Here is pinout of serial connection. 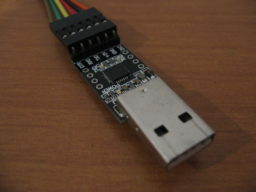 As you can see UART pins are at J4 header (should have pin 4 labeled and 1 be square). 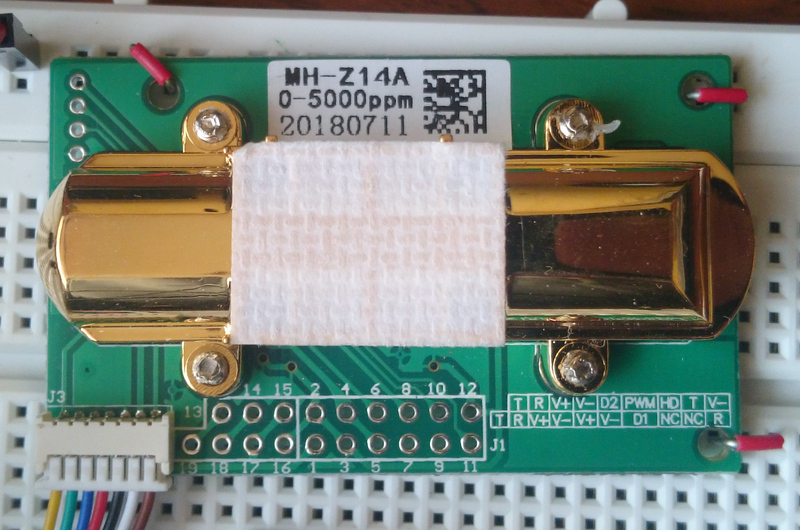 Edit: Oh, and one more thing: goldpin header, you see in the picture is soldered by me, so do not be surprised if you have to hold wires all the time during the transmission. into Console command field and press Execute button. If everything went well, you should now be able to connect to your router using telnet at its default TCP port 23. After that you should see BusyBox banner and command prompt. It is worth noting that this hidden console cannot be accessed by unauthorized person, so only router administrator can use this (in theory, in practice there are surely a lot of routers using default credentials and security of httpd binary is unknown).